The new Center for Healthcare Improvement and Patient Simulation opened at the University of Tennessee Health Science Center in Memphis. 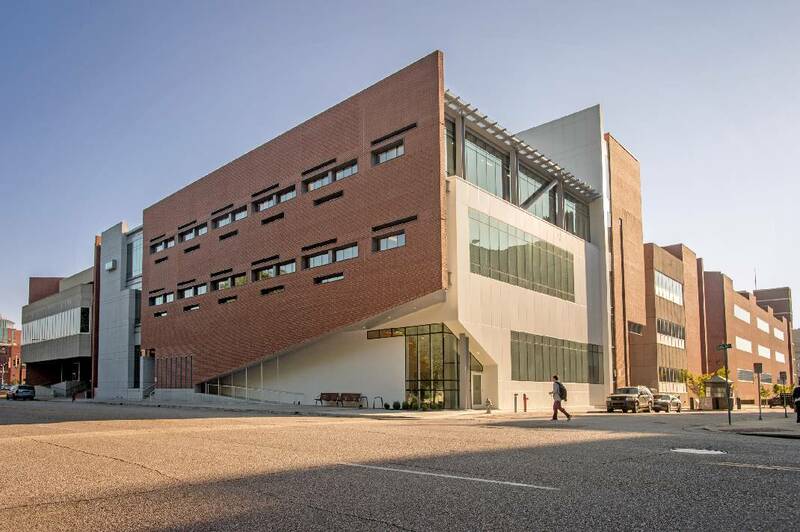 A new chapter in health care education in Tennessee began Friday when the $39.7 million Center for Healthcare Improvement and Patient Simulation opened at the University of Tennessee Health Science Center in Memphis. The center will allow students from the six colleges at UTHSC — dentistry, graduate health sciences, health professions, nursing, medicine and pharmacy — to train together in simulation settings to develop their skills in delivering team-based health care. The 45,000-square-foot building is dedicated to education, research and professional development of enhanced clinical skills using actors trained to portray patients, virtual reality and high-fidelity patient simulators costing from $15,000 to $220,000. "There's no question about the value of simulation," said Dr. Bruce Shack, dean of University of Tennessee College of Medicine Chattanooga. "Medical students are pretty limited in what they're able to do, because they're not licensed physicians, so it's a great way for them to start learning how to be a doctor." Many of the Memphis students come to Chattanooga for graduate medical training and to pursue professions in health care, and Shack said there are plans to upgrade and expand the UTCOM Chattanooga simulation lab in the near future.